If you&apos;re looking for a date idea that&apos;s beyond dinner and a show, Columbus is full of them! Here are a few ideas for dates that help you learn a new skill and have fun along the way. 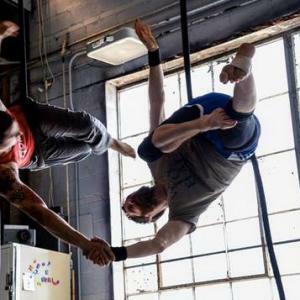 If the idea of swinging from a trapeze is appealing, check out Movement Activities inside the 400 West Rich art studios. You&apos;ll need to enroll in a beginner course (offered near the end of each month) before you can take an aerial class. You know how some people just have a way with flowers? You can learn the skill of artful floral design at Flowers & Bread, a charming spot in Clintonville. Before you leave, sample the coffee and baked goods at the restaurant and maybe sign up for a break baking class, which you can also take here. 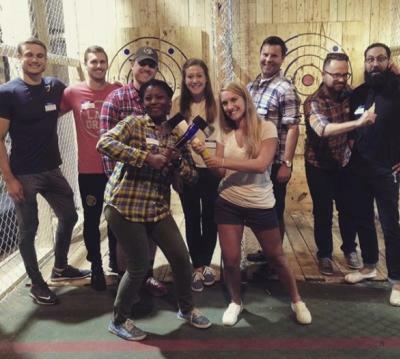 We&apos;re not saying throwing axes with accuracy is the most useful skill in modern America, but it sure is a heck of a lot of fun. When you arrive, you&apos;ll get trained on everything you need to know to keep you safe, and then you&apos;ll get set up with a wooden bulls-eye and a 1.5-pound axe. Flannel shirts are not required but recommended. The Columbus Idea Foundry is a perfect spot to hone a new skill. They offer classes on a wide range of topics year-round, but the Valentine&apos;s Day Maker Date Nights are a great chance to sample a huge array of skills with a loved one. These events include blacksmithing a heart or hook, woodturning a bottle stopper, copper stamping a piece of jewelry and more, along with dinner and drinks from neighboring Land Grant Brewery. The event is offered on Feb. 14, 15 and 16. Creating your signature scent at the Candle Lab is a really rewarding experience. And you can drop in at any time to do it, which makes this great for people who tend to schedule a little more ... loosely. A Candle Lab employee will guide you to make good choices among more than 100 essential oils, and you&apos;ll create your own soy-wax candle to take home. 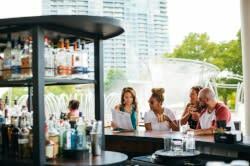 With locations in the Short North Arts District, Worthington and Grandview, you have plenty of options to hop out for a dinner or drink while your candle cools. OK, maybe this one is a little more Dexter than The Notebook, but for people who want to learn how to butcher their own meat, you can learn from the best at 1400 Food Lab. The team from Six Buckets Farm show you how to extract your favorite cuts of pork from snout to tail in this full-day class, and you&apos;ll leave with a cooler of pork.